Over 80% of a compressor’s lifecycle cost is taken up by the energy it consumes. Moreover, the generation of compressed air can account for more than 40% of a plant’s total electricity bill. 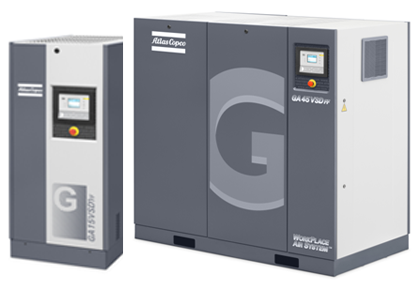 To cut your energy costs, Atlas Copco pioneered Variable Speed Drive (VSD) technology in the compressed air industry. Installing a VSD compressor will lead to 30 – 50% energy savings, while protecting the environment for future generations. A VSD compressor can start/stop under full system pressure. There is no need to unload. This saves time and energy. No idling time lost, no blow-off losses in normal operations. Avoid peak currents at start up and therefore also the penalties of most electricity companies. With a lower system pressure, system leakages are minimized.